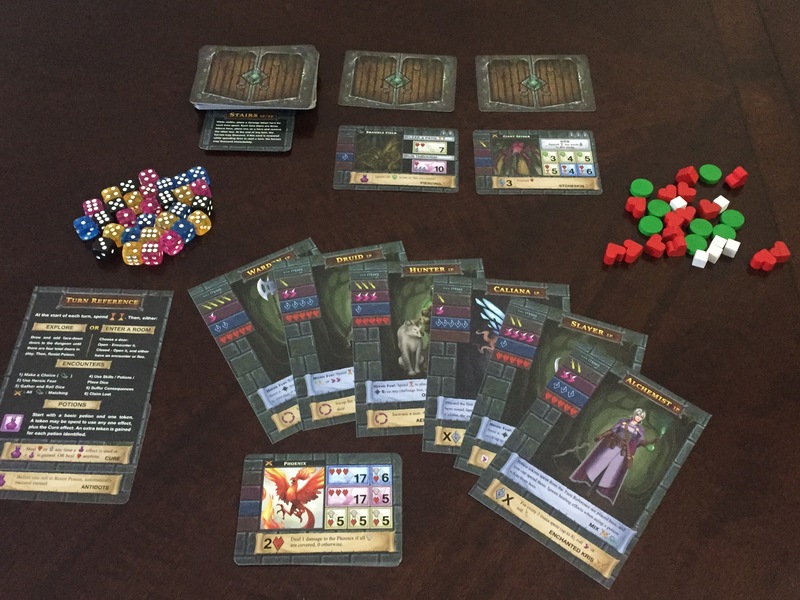 One Deck Dungeon is a card and dice driven game of dungeon exploration and survival for 1-2 players. It was designed by Chris Cieslik and published by Asmadi Games. I think at this point, I can safely skip the usual rules explanation since One Deck Dungeon has become very popular. Rules explanations on YouTube and elsewhere are plentiful. 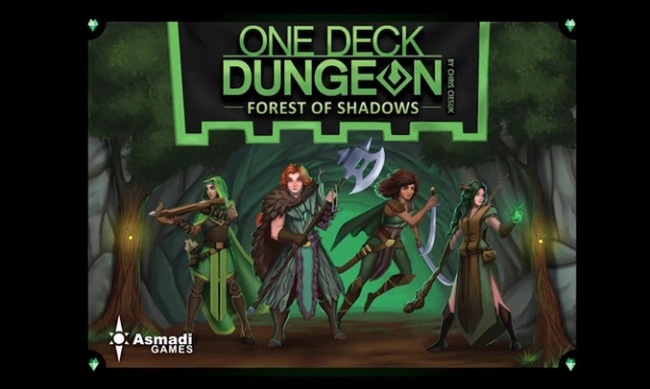 So, before I get into the review of Forest of Shadows, I’d like to share some of my pros and cons for the original One Deck Dungeon, while also touching upon some of the changes in v. 1.5. 1. Represents the “roguelike” genre very well. Better than any other presentation of a dungeon crawl in any game, the roguelike genre (click here if you don’t know what that is) gives you the best experience of leveling up, defeating monsters, and feeling awesome in the shortest amount of time. It’s a perfect fit for a filler game; so much so that I am surprised that more filler games haven’t done it before. 2. 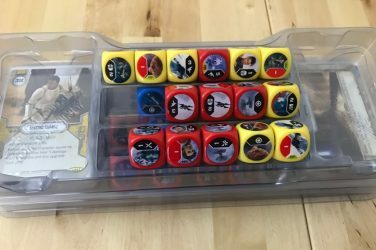 Creates a good balance between dice luck and dice mitigation. You roll dice on every single turn in the game, which will inherently create huge variance. However, especially as you level up, you will gain more dice, items, and skills that let you manipulate things to get what you need. Although some skills are clearly better than others in most circumstances, I found that I had fun mixing and matching skills on my characters. Not only did I have fun finding synergies and combos, but also crafting builds to help me beat different bosses. In the campaign mode, as you progress through the game and beat bosses, you can earn bonus skills persist from game to game. Because ODD is so difficult out of the box, many gamers have assumed that you need to progress through the campaign in order to have any hope of beating some of the harder bosses. If true, that would a major bummer because, if you didn’t want to do a campaign, it would render half (or more) of the content unbeatable and inaccessible. However, that’s a misconception. I’ve beaten every boss in the game at least once without any campaign buffs. What the campaign does is allow every character to beat every boss. The mage is probably better equipped to take down the three star Lich without any campaign buffs than, say, the warrior. The campaign makes it easier for the warrior to head in there and have a real shot. In that way, I think ODD does a good job of balancing a worthwhile campaign mode while insuring all of the content is accessible outside of the campaign. 4. Fun art style and D&D callbacks. Not gonna lie. I am a D&D nerd. Although I don’t know this for a fact and am only judging from the game, Chris Cieslik is likely a fellow RPG lover of some kind, as well. One Deck Dungeon has callbacks galore to classic D&D spells and skills like Stoneskin, Haste, Cleave, and Invisibility. I also like the variety of iconic monsters in the game, whether as dungeon denizens or bosses. While I wished that the art on the cards was bigger and more distinctive, I recognize that wasn’t possible because of the multi-use nature of the cards. 1. Bad starts and (sometimes) bad finishes. Many folks have rejected the One Deck Dungeon hype train because it’s “too random”. I think that applies particularly in the first few turns. Although you can gear up fairly well after beating (or at least surviving) some monsters, you only start with a couple of powers in the beginning. Also, those starter powers often don’t come into play. That can result in a very frustrating opening to the game. Not only can that hose you and set you back for the rest of that playthrough, it creates a lasting negative impression that might color your judgment of the whole package. As the popular wisdom goes, you only get one chance to make a good first impression. Besides the beginning, the second most psychologically impactful part of the game – or a person, or a movie, or anything – is the last impression. In One Deck Dungeon, that means bosses. Unfortunately, some of the bosses are too punishing, as well. While One Deck Dungeon gives you many ways to manipulate your dice, the same cannot be said for the way enemies come out of the deck. You are generally stuck with whatever comes out. If the monster stats do not line up with your core stats (again, especially early in the game), you’re going to have a hard time. I’ve had games where I will look at the opening four monsters out of deck and decide it’s easier to reshuffle and start again. You can run away from monsters. However, then they just kind of hang out and take up space, making further exploration of the dungeon less efficient. It’s not as bad with two players, and even less of a problem with four (more on that below). With more characters, you are less likely to run into enemies that run directly against your dice colors. In those cases, though, you can still get hosed by those first few throws of the dice. Lots of ones = time to reshuffle and restart! 3. A bit too long and grindy. You will travel through the dungeon deck three times before you encounter the boss. That translates into roughly 20-30 separate encounters. That’s a lot of dice rolling! 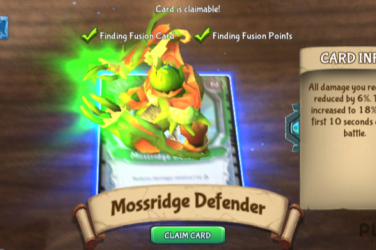 Dice fatigue is certainly a thing, as is encountering the same cards over and over. In addition, after you settle into the dungeon and get some gear, you can handle most of what comes fairly easily. 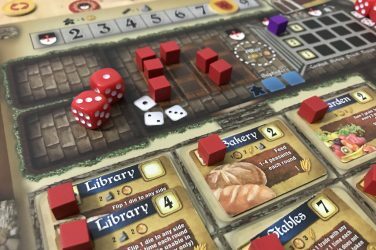 In many of my plays, the third level feels like a necessary slog rather than an actual fun time (some would say the whole game feels this way – I think the first two levels are fun, at least). I frequently wished I could skip to a boss battle after the second time through the deck. I really like One Deck Dungeon. I have mixed feelings about many of its mechanical aspects, as I noted above. However, I think the theme really, really helps me in this regard and takes it over the top. 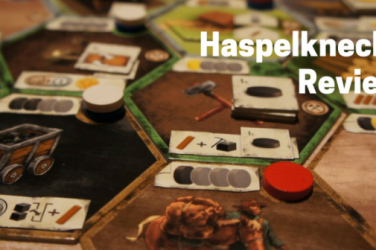 It continues to be one of my favorite filler games and frequently floats back into rotation. Tweaks to some skills and spells to make the more useful earlier in the game. “Easy” modes that give you a much better head start (and also a hard mode, if you like pain). Lower thresholds for leveling across the board. Nerfs to some of the bosses (*shakes fist at the Yeti*). None of these changes touch the mechanical core of the game. 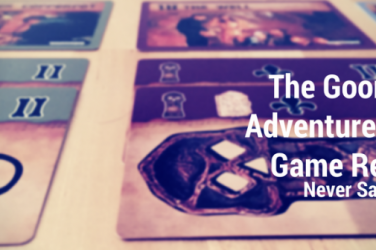 If you thought One Deck Dungeon was too grindy and/ or random, you won’t find any help here. 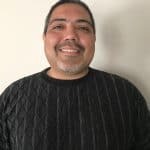 However, the changes directly affect the start of your games and, in the cases of the boss nerfs, the end of your games. I think these have a huge impact not only on individual playthroughs, but on the general perception that the game is too hard to be truly fun. 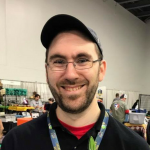 So, for anyone who heard that buzz and held off on trying ODD because of it, I think those particular concerns have been successfully addressed with the updated ruleset. The first expansion to One Deck Dungeon essentially doubles the available content for basic One Deck Dungeon. You can play Forest of Shadows either on its own as a stand-alone expansion, as a hybrid with ODD, or in a full combination with the base game to open up a four player mode. 1. New good guy stuff – heroes, skills, and potions. Like any good RPG splat book, ODD’s new classes dive a bit deeper in order to continue providing unique classes. The Warden is a forest version of a Warrior, the Alchemist is twist on Mage, etc. They were all fun to play and I did not notice any crazy balancing issues (although I’m not really the best judge for that). My favorite change, though, is the new potion system. 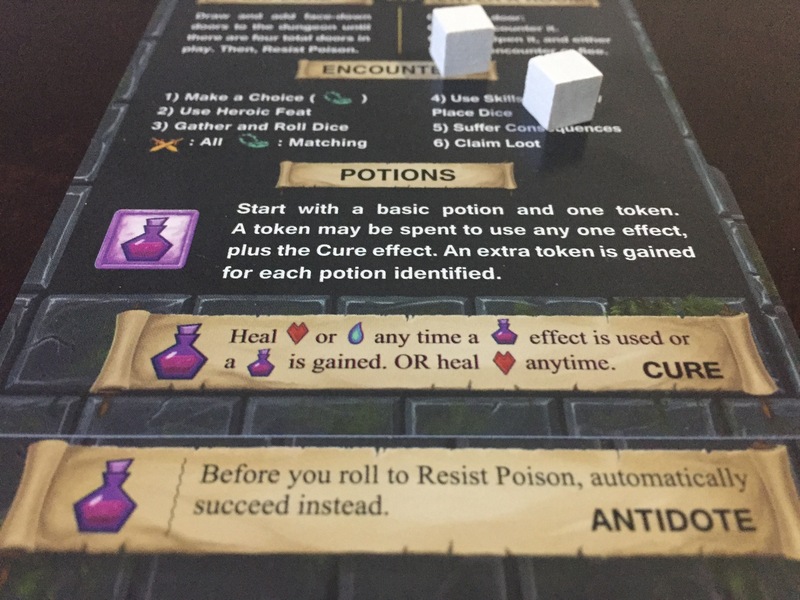 In basic One Deck Dungeon, your base potion provided healing, while subsequent potions let you manipulate rolls and/ or whole encounters. You could not do both; you had to choose the effect. As the guy who often played the cleric in my D&D parties, I can tell you that having to choose between being cool and healing isn’t very fun. Sometimes your party needs a big heal, but not all of the time. For the new potion, you can now heal a bit with every potion use (or cleanse poison – more on that below), then add another effect to it. I liked that MUCH better. You get less overall healing, and maybe its less effective as an overall strategy, but you can be more proactive and do actively cool stuff. In Forest of Shadows, you’re getting new dungeon denizens and perils like Panthers, Shadowstalkers, and Vine Traps, as well as some new bosses. Really, though, there’s not too much here’s that’s truly new. Many of the dungeon and boss powers are variations on what we can encounter in the base game. I suppose the game’s dice and square engine make it really hard to truly vary things up. However, if you are looking for something truly new here, you’ll have to keep waiting for content in the future. Instead of all direct damage, Forest of Shadows introduces poison as a delayed damage mechanism. If you get poisoned, you’ll have a chance to roll a “saving throw” when you explore further in the dungeon. If you fail, you take two damage! Further, the more poison you get, the worse your chances are at making the save. The poison mechanisms work fairly well. From a gameplayer’s perspective, the point of any new mechanism is to create and multiply interesting decision points. The poison tokens do that. For example, when you use a potion to heal, you have to choose whether you heal direct damage or remove a poison token. Do you play it safe and remove the token, or push your luck and keep the token there? Poison adds only a hair of complication to the basic One Deck Dungeon engine. On its own, it’s not bad at all. However, if future expansions make similar additions, it could add up. It’s something to look for in the future, but nothing to worry about now. You could always play One Deck Dungeon with four players if you purchased two copies of the game. I always consider that a bit of a cheat, though, so I saved talking about four player mode for this section. 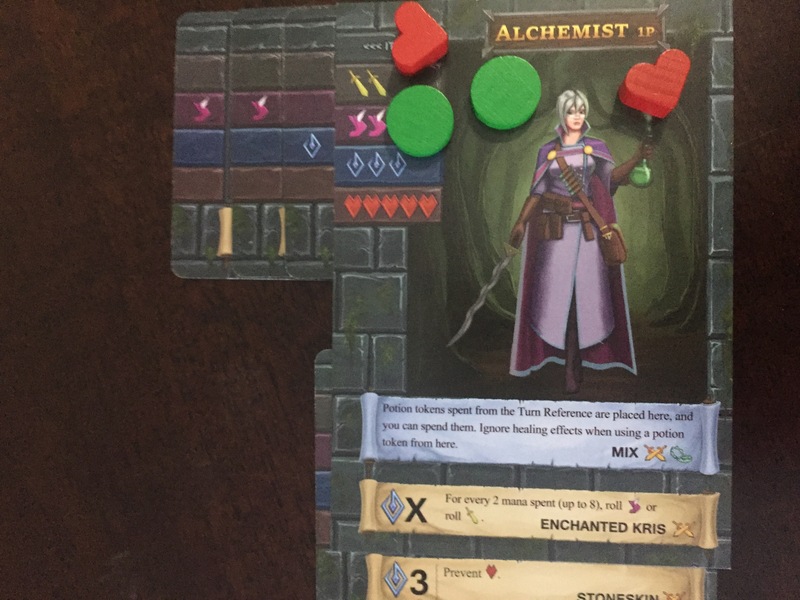 In four player mode, you shuffle both decks together and essentially do everything twice – draw and resolve encounter cards two at a time, gain potions two at a time, etc. For each encounter, you pair up with a partner. Because the chances are decent that you have a balanced party, you will almost never flee a challenge in this mode. That makes the game a bit faster. Still, that did not compensate for all of the extra rolls, which takes the game well past the 30 minute mark. When a game is that long, I personally want to play a meatier and/ or less grindy game. Four player mode works, though, if you really love One Deck Dungeon and want to show your family and friends. I imagine it’s also effective in a convention or demo setting. So, while four player mode is not for me, I’m glad it’s there. Verdict: One thumb down (for me), one thumb up (if you love the game, or as a convention demo). If you did not already like One Deck Dungeon, this expansion will not change your mind. Also, I worry a bit that, if ODD wanted to truly innovate and come off the wall with stuff, that would have to be a standalone expansion rather than one that integrates into the base game. Still, if you like and own One Deck Dungeon, Forest of Shadows is a no-brainer purchase for you. 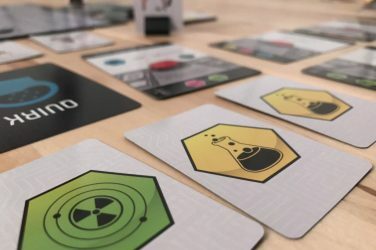 FoS works whether you play it as a stand-alone, or integrate it with the base game. It also has just enough in there to make it stick out. 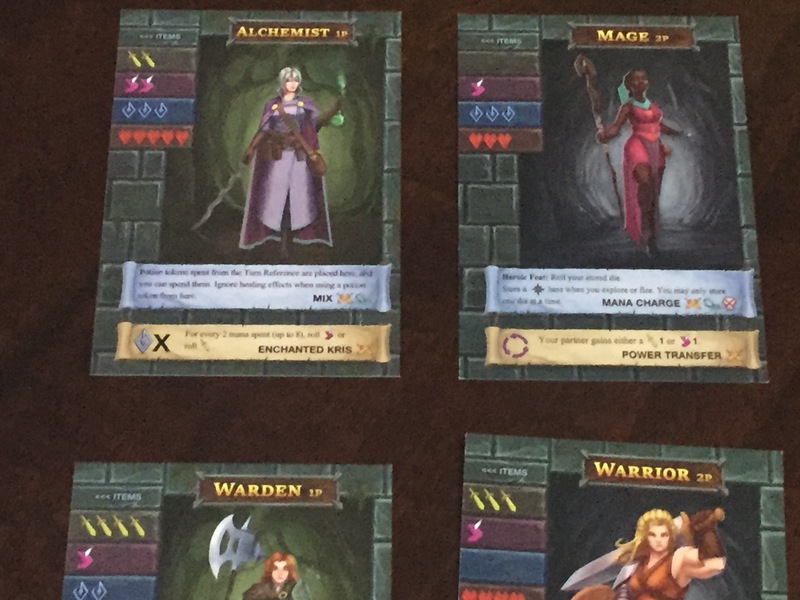 I continue to pull out One Deck Dungeon as a quick filler, and will continue to do so (at least until the app comes out!). Final Verdict (scale of Burn, Dodge, Play, Buy) – Play, possible buy. Don’t you love it when a kickstarter or other project comes by that bypasses all reason and shoots straight into your wallet? If you like ODD, FoS is just that!